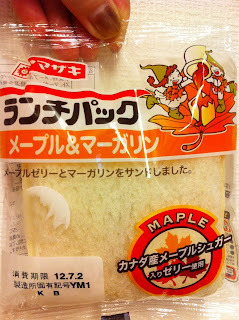 Canadian maple sugar was mixed into maple jelly filling. It has intense maple flavor but not much of margarine. It would be also tasty if it's toasted. This is my 100th Lunch Pack Collection!! Congratulations on 100 lunch packs!